India, 17 January 2019 -- Global Waste Management Market size is expected to reach $484.9 billion by 2025 from $303.6 billion in 2017, growing at a CAGR of 6.0% from 2018 to 2025. 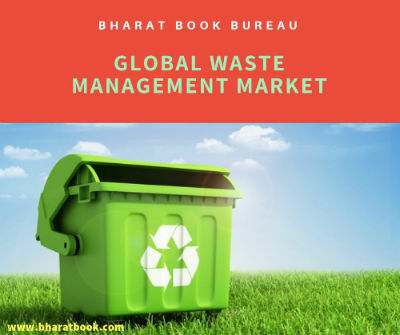 Bharat Book Bureau Provides the Trending Market Research Report on “Waste Management Market by Waste Type and Service: Global Opportunity Analysis and Industry Forecast, 2018 - 2025” under Heavy Industry category. The report offers a collection of superior market research, market analysis, competitive intelligence and industry reports. Global Waste Management Market size is expected to reach $484.9 billion by 2025 from $303.6 billion in 2017, growing at a CAGR of 6.0% from 2018 to 2025. Waste management is the collection, transportation, and disposable of garbage, sewage, and other waste products. It involves treatment of solid waste and disposal of products and substances in a safe and efficient manner.